Start-ups, when they raise venture money to build their businesses, begin with a Series A round and then proceed through Series E, F or maybe G before going public. The ride-hailing service Ola is a bit unusual: It just completed its Series J fundraising and is marching toward Series K, a letter almost unheard of by researchers that track such things. What's going on here is about more than money. Ola co-founder Bhavish Aggarwal is fighting to maintain his independence against SoftBank Group Corp. The Japanese conglomerate, led by Masayoshi Son, was an early backer of Ola, but Mr Aggarwal has grown concerned about its influence as SoftBank took a stake in his archrival, Uber Technologies Inc., and then encouraged the rivals to merge. Mr Son struck a preliminary deal to put another $1.1 billion into Ola to boost his stake to more than 40 percent, according to people familiar with the matter. But Mr Aggarwal tried to include terms to guarantee his own control over the start-up, and the deal ultimately fell apart, said the people, who asked not to be identified because the matter is private. Instead, Mr Aggarwal is piecing together smaller slices of funding from unaligned backers. This year alone, he picked up $300 million from Hyundai Motor Co. and about $90 million investment from Sachin Bansal, the co-founder of Flipkart Online Services Pvt. "Bhavish is spurning SoftBank money as he doesn't want to get diluted out of Ola," said Mohandas Pai, venture capitalist and former chief financial officer of Infosys Ltd. "Founders become employees when someone sits on your board and tells you how to run the show." "Softbank has been a great partner for us as we've grown our business," a spokesman for the company said in a statement. "There are so many emerging synergies with SoftBank that we envisage in the years to come, as we continue to build a global mobility business out of India." "We enjoy a cordial relationship with all our portfolio companies, including Ola," said a SoftBank spokeswoman. "Beyond this, we do not comment on specific individuals and internal matters." Mr Aggarwal avoids gatherings with Mr Son and his portfolio companies when he visits India, according to people familiar with the matter. Mr Aggarwal, for example, was missing from a meeting of SoftBank-backed founders when a delegation including the Saudi Crown Prince Mohammed Bin Salman visited a few weeks ago, the Economic Times reported. Saudi Arabia contributed nearly half of the capital for Mr Son's $100 billion Vision Fund. Mr Aggarwal has said he declined SoftBank invitations only because he doesn't visit New Delhi, according to one person familiar with the matter. Mr Aggarwal has also gone to the founders of Snapdeal for advice on managing SoftBank, the people said. SoftBank invested in the e-commerce start-up about five years ago and then tried to push the founders to sell out to a larger rival, Flipkart. When Snapdeal refused the deal, Mr Son switched allegiances by stopping further investment in the company and put $2.5 billion into Flipkart. 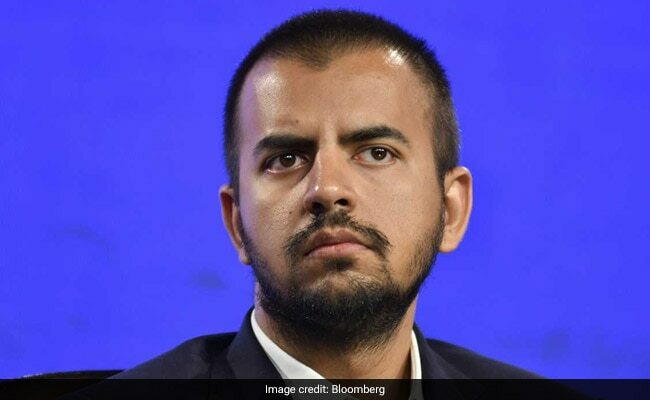 The 33-year-old Mr Aggarwal founded Ola, a brand of ANI Technologies Pvt, in 2011 along with Ankit Bhati, his classmate from engineering school. It currently has 1.3 million drivers on its platform in over a hundred cities and since last year has expanded to Australia, New Zealand the U.K. It also entered the food delivery business in India, burning cash in a bid to grab market share from Uber Eats as well as local food delivery operators, Swiggy and Zomato. Mr Son was an early champion of local ride-hailing start-ups in Asia. He backed Anthony Tan's Grab in Southeast Asia and Cheng Wei's Didi Chuxing in China, in addition to first investing in Ola in 2014. The relationship between Mr Son and Mr Aggarwal was a warm one early on. "He is inspiring and aggressive and a visionary. He is making history," the Indian entrepreneur told one newspaper. Mr Aggarwal and Mr Son reached the preliminary deal to inject more cash into the Indian start-up in 2017. Under terms of the agreement, SoftBank would invest $250 million right away and then plow the rest of the $1.1 billion within six months, the people said. Yet as the two sides worked to finalize the agreement, SoftBank held talks to invest in Uber -- and Mr Aggarwal grew more wary of the impact on Ola. Uber and Ola are bitter rivals in India, competing for customers and drivers, and have essentially split the market. Mr Aggarwal sought conditions to assure his control, including a clause that founders would have veto rights over the appointment of any new CEO. 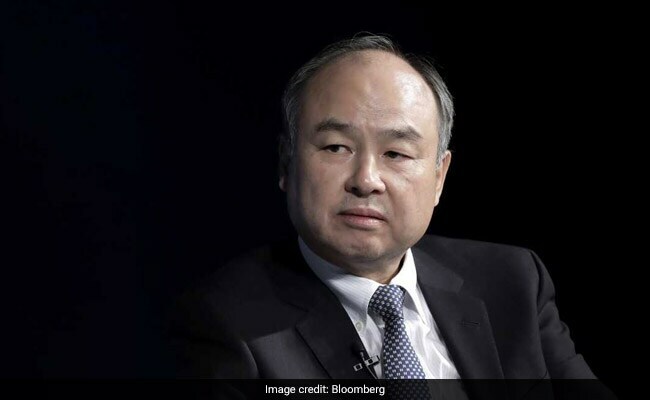 Talks stalled as SoftBank resisted. In the meantime, SoftBank made progress with Uber. In January 2018, the Japanese conglomerate completed its deal to spend about $9 billion to become the largest shareholder in the U.S. ride-hailing giant. Shortly thereafter, SoftBank's executives floated the idea of a merger between the rivals in India, according to people familiar with the matter. When Mr Aggarwal balked, SoftBank attempted to buy out the stake of another Ola investor, Tiger Global. Mr Aggarwal found himself fighting for control of his company. Ola had modified its corporate bylaws so any sale between investors would need approval of the board -- effectively blocking the Tiger-SoftBank transaction. Mr Aggarwal also knew that he couldn't take more money from SoftBank; the preliminary $1.1 billion deal died after six months when the two sides couldn't reach a compromise. Ola did raise more money from Tencent Holdings Ltd., the Chinese internet giant. In its home country, the India company began raising tiny rounds, collecting as little as $50 million from investors. "In the Indian e-commerce universe, there are very few investors who will write big checks of half-a-billion dollars or more," said Gautam Chhaochharia, managing director and head of India research at UBS. SoftBank has a lot more at stake with Uber and needs it to succeed to demonstrate the potential of its massive Vision Fund. The San Francisco-based ride-hailing giant is said to be preparing for an initial public offering at a valuation of as much as $120 billion. Merger talks with Ola are off now as Uber prepares for the IPO. The U.S. company sold its operations in Southeast Asia to Grab last year, a move that trimmed its losses but also cut off growth potential in an important region. India is sure to be highlighted as a key example of overseas opportunity when Uber files its IPO paperwork. Meanwhile, Mr Aggarwal appears to be girding for a future onslaught. He's collecting cash and hoarding what he can. Ola has become more prudent with its spending, cutting incentives for drivers and trimming subsidies for both ride-hailing and food-delivery businesses. If he expects Uber -- and SoftBank -- to come after him again, he'll need all the money he can to protect his business. "It's a good strategy," said Mr Pai, the venture capitalist.